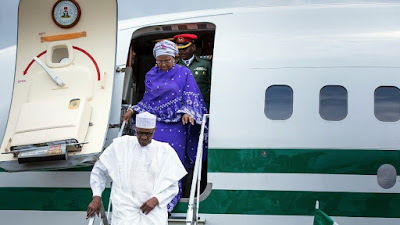 President Muhammadu Buhari today arrived back in Abuja after a four-day working visit to Turkey. The president left Nigeria for Turkey on Wednesday. While in Turkey, the president held bilateral meetings with his Turkish counterpart, Recep Erdogan. He also attended the meeting of the group of eight developing nations, D-8.